Happy March! 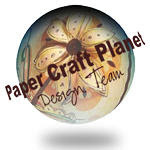 There is a hope of spring (I hope) around the corner and a great way to celebrate that is by crafting!! 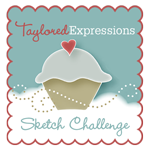 I love these new stamps, dies and goodies from Taylored Expressions that will be all released on Thursday!! 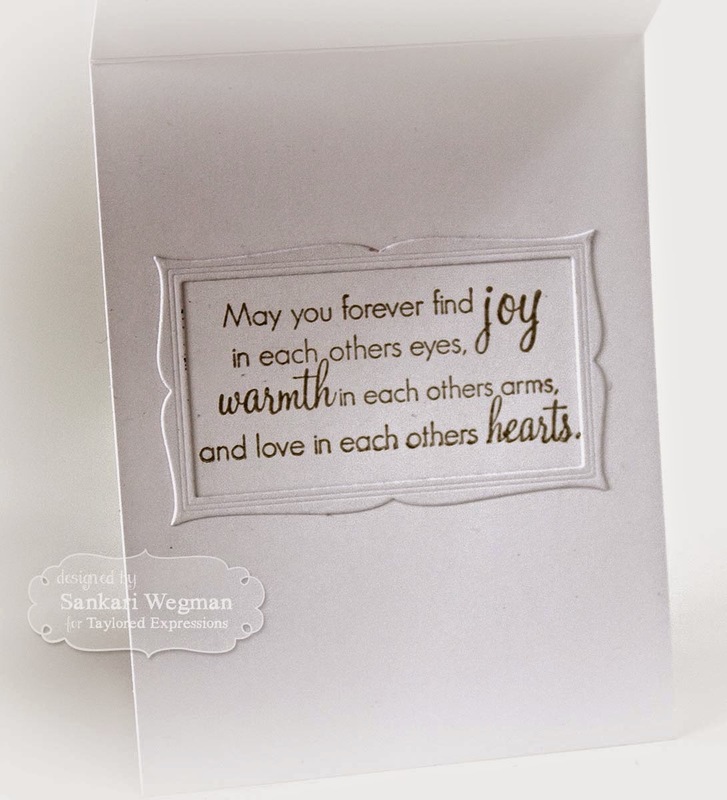 And to finish off the card, I stamped this sentiment on the inside of the card - love the beauty of this sentiment! 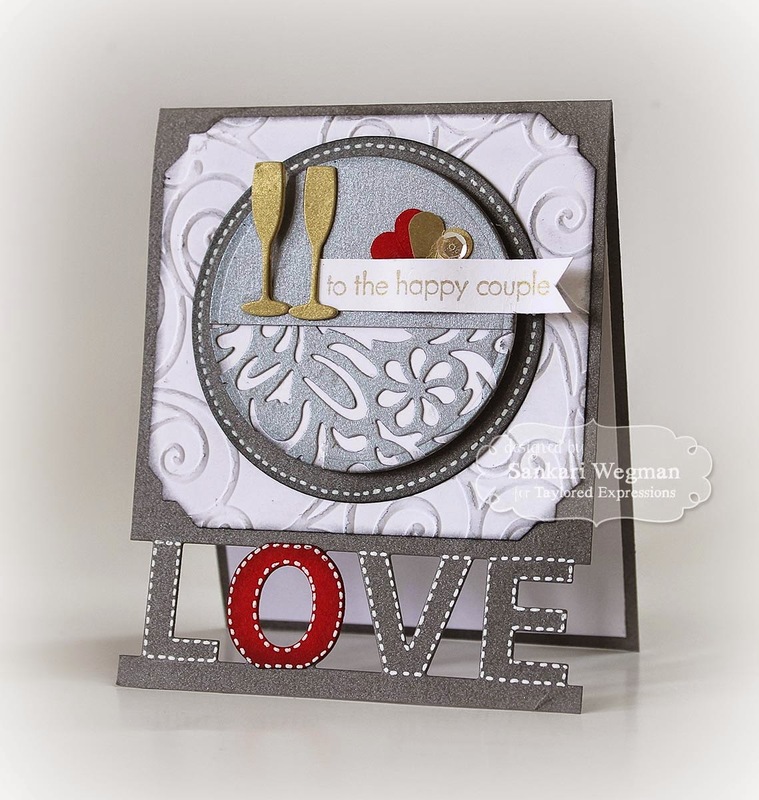 For both the above card and the one below, I used the Metallic Neutrals paper pack from TE. 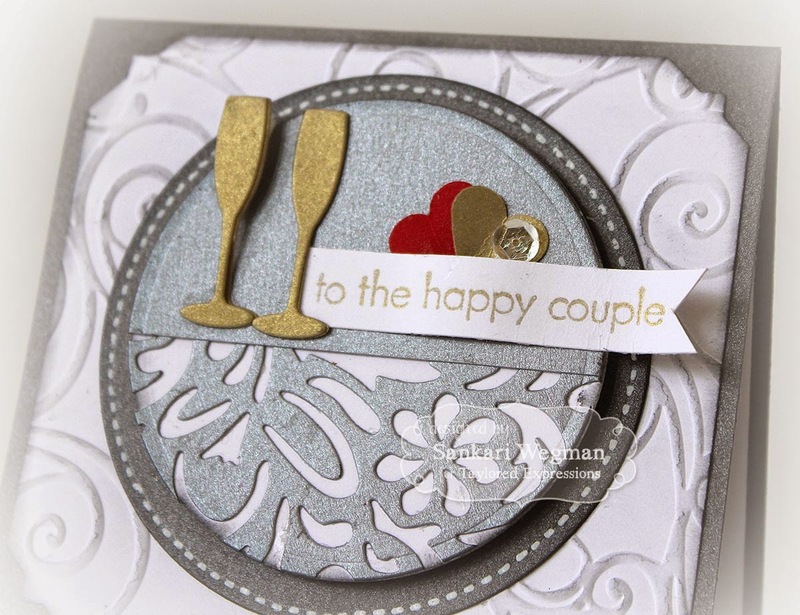 For the my second card, I used the Little Bits - Wedding dies to create a little toast to the happy couple with these super cute champagne glasses dies. I also used the new Block Party - Love die to die cut the word love on the bottom (and die cut the "o" in red for some pop :) ) - Love how this turned out! I loved making these cards and loved how all of these stamps, dies and papers coordinate together! I can't wait to see what everyone on the TE team has created with all of these goodies! Please come by tomorrow for more release peeks! Seeing what you've done with the Bold Lace Cutting Plate and the Metallic cardstock, I'm for sure getting these items. Very pretty cards. Love all your attention to details, really added to your cards. Love the dies. Great release. Such pretty cards. 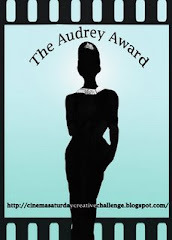 Love the use of metallic.